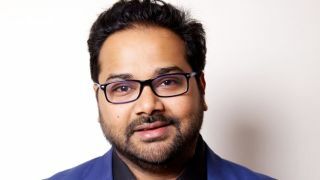 Integrated Systems Europe has announced that Ambarish Mitra, the co-founder and CEO of augmented reality technology company Blippar, will present the ISE Opening Address on February 4, 2019. Blippar’s mission is to enhance everyday life with AR and computer vision, a field of AI. Since 2011, Blippar has been pushing the boundaries of what is possible in AR. It has helped brands, retailers, and agencies use AR/AI across the consumer journey to deepen customer engagement, drive footfall, and increase sales. The company gives access to an AR ecosystem with products and professional services to meet specific business needs—from consultancy to AR creation tools that publish AR content within a client’s own app, or rich media banners with no app required. Blippar’s technology has been used by leading brands such as PepsiCo, Porsche, Nestlé, L’Oréal, GSK, and Procter & Gamble to create exciting experiences. Blippar has been ranked three years running within CNBC’s global Disruptor 50 list, alongside the likes of Uber, Airbnb, Snapchat, and Spotify in 2017. The company has also been named a Top Business Innovator by Bloomberg, Most Innovative AR/VR Company by FastCompany in February 2018, and won Best AR App at Mobile World Congress in 2017. In the opening address at ISE 2019, Ambarish Mitra will discuss how AR and AI are disrupting key vertical sectors served by the professional AV industry, and what future developments are likely to bring. Mitra is a serial entrepreneur who started his tech career in 1997 as a high school dropout, creating his first tech company around women’s empowerment in India. After moving to London a few years later, he is today an active private investor in the fields of AR, AI, food tech, and genomics. His pioneering work in the field of AR has received wide acclaim. He was Ernst & Young UK Entrepreneur of the Year for 2016, and was appointed as an ambassador for the GREAT Britain campaign, which promotes British innovation around the world. He was also recognized as a Young Global Leader by the World Economic Forum in 2017. The opening address will take place in the forum of the RAI Amsterdam, shortly after the conclusion of the Smart Building Conference. It will be followed by the ISE opening reception. Both events are free to attend.